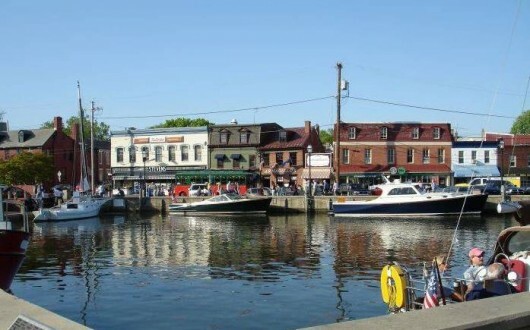 Another Placemaking campaign is underway, this time in Annapolis, MD, where the grassroots group Annapolis Sustainable Business Alliance (ASBA) is advocating for the city to rethink the future of its downtown City Dock and historic Market House. Using Placemaking principles, Annapolis’ waterfront could be restored into a lively, vibrant, and sustainable public space; and local community engagement should be at the forefront of this effort. City Dock is located at the heart of the Historic District alongside many of its original 18th century buildings, including the Market House. City Dock currently offers some activities, but needs more in order to attract more locals and tourists to the area. The Market House will soon be under new management after being vacant for seven years, but some locals worry that the community vision is not being included in the plans. Mayor Cohen also appointed a committee of 25 members of the community from diverse sectors to advise the City Dock revitalization. To kick off the Commission, the Urban Land Institute provided a pro bono 24 hour blitz studies, providing recommendations to the City and the Commission that echoed Fred’s sentiments last August. The challenge now for Annapolis is to continue to engage the public in a thoughtful way that helps develop a community vision for City Dock and Market House that best reflects the history and identity of the waterfront, while at the same time providing opportunities for activities that attract a wide range of people during all times of day and year.